You are listening to the Dubnova Preludia Suite for Solo Piano by Viteslava Kapralova, performed by Virginia Eskin. VITESLAVA KAPRALOVA (Brno 1915 - Montpelier 1940) is an essential representative of interwar Czech music and the most important female Czech composer of the twentieth century. She was a daughter of composer Vaclav Kapral and singer Vitezslava Uhlirova. A child prodigy, she started composing at age nine, and at fifteen she entered the Brno Conservatory where she studied composition with Vilem Petrzelka and conducting with Zdenek Chalabala (1930-1935). She continued her musical education at the Master School in Prague with Vitezslav Novak and Vaclav Talich (1935-1937), and at the Ecole normale in Paris with Charles Munch (1937-1938) and, according to some sources, with Nadia Boulanger (1940); she also studied composition privately with Bohuslav Martinu (1938-1939). 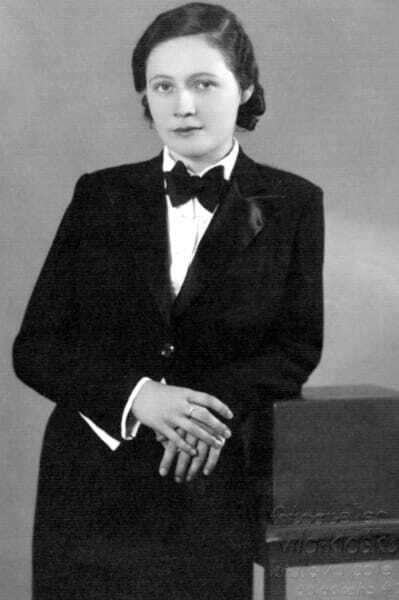 In 1937 Kapralova conducted the Czech Philharmonic, and a year later she conducted the BBC Orchestra in her composition Military Sinfonietta, to much critical acclaim. Despite her untimely death in 1940, possibly from typhoid fever, Kapralova left an impressive body of work. Her music was admired by Rafael Kubelik, who premiered her orchestral song "Waving Farewell" and performed several other works, and by Rudolf Firkusny, for whom Kapralova composed "April Preludes." In 1946, in appreciation of her distinctive contribution to Czech Music, the foremost academic institution in the country, The Czech Academy of Sciences and Arts, awarded Kapralova membership in memoriam. By 1948 this honor was bestowed on only 10 women out of 648 Academy members. Only one of these women was a musician — Kapralova. ​Kapralova's creative output includes her highly regarded art songs and music for keyboard; music for cello; music for violin and piano; a reed trio; a string quartet; a cantata; two piano concertos; a concertino for clarinet, violin and orchestra; two orchestral suites; and a sinfonietta. Listen to more music in our Track of the Month Series.